On a historic night for Zalgiris Kaunas, forward Edgaras Ulanovas came through with a resounding performance to become MVP for Game 4 of the Turkish Airlines EuroLeague Playoffs and lift his team to its historic first Final Four this century. 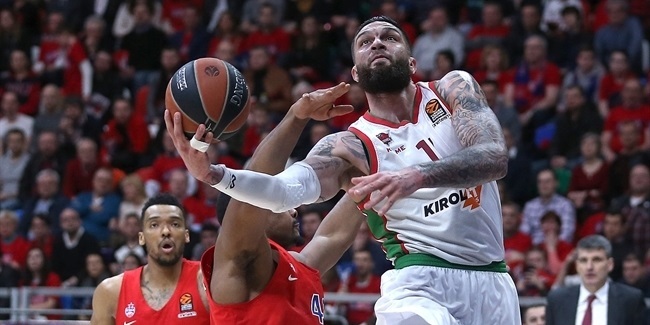 Ulanovas was everywhere in a 101-91 victory over Olympiacos Piraeus that gave Zalgiris a 3-1 triumph in its first series under the playoffs format begun in 2005. After not scoring a single point in Games 2 and 3, Ulanovas dropped 20 points in Game 4, just 2 points shy of his career high. Ulanovas made 4 of 8 two-point shots and 3 of 4 triples. while pulling down 9 rebounds, the high total among all players in the series. He also had 2 assists and 1 steal, all of it adding up to a performance index rating of 27, the highest by a player on a winning team in Game 4. The highest index rating of Game 4, however, belonged to Alexey Shved of Khimki Moscow Region, who posted a PIR of 37 in a series-ending 88-89 loss against CSKA Moscow. Shved set two EuroLeague Playoffs single-game records, with 36 points and 8 three-pointers made on 12 attempts. He also dished 6 assists and pulled down 5 rebounds in the loss. 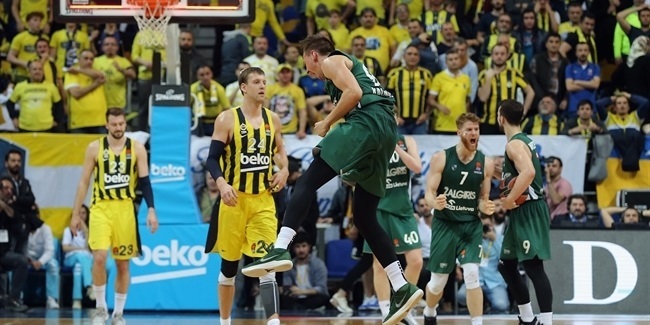 Fenerbahce Dogus Istanbul teammates Nicolo Melli and Marko Guduric followed with index ratings of 26 in their team's 83-92 series-clinching win over KIROLBET Baskonia Vitoria Gasteiz. Guduric netted 22 points with 3 assists, 2 steals and 1 rebound, while Melli had 21 points with 3 rebounds, 3 assists and 2 steals. Rounding out the list of top performers in Game 4 were Kevin Pangos of Zalgiris and Luka Doncic of Real Madrid. 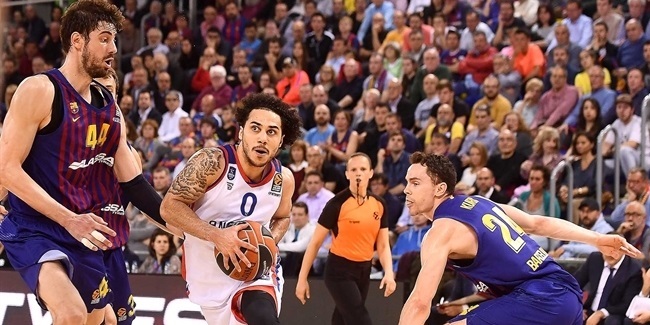 Pangos scored 21 points with 4 assists, 2 rebounds and 1 steal for a PIR of 24, the same as Doncic, who collected 17 points, 5 assists and 4 rebounds in an 89-82 win over Panathinaikos Superfoods Athens that sent Madrid to the Final Four in Belgrade. Shved scored a playoffs record 36 points, which was also his career high and matched the highest single-game point total of the last four seasons. Shved finished as the leading scorer in the playoffs, with 24.3 points per game, and was also a EuroLeague top scorer for the season with 21.8 per contest. Ulanovas had 9 rebounds to lead all players for Game 4. CSKA teammates Will Clyburn and Othello Hunter finished as playoffs co-leaders with 7.8 rebounds per game. Fenerbahce point guard Kostas Sloukas had 8 assists in Game 4, which got him to 36 assists and an average of 9 per game for the series, both new playoffs records. CSKA teammates Clyburn and Leo Westermann joined Madrid's Gustavo Ayon with 3 steals apiece to lead all players in Game 4. Ayon finished as the playoffs leader with 2 steals on average. Khimki's Tyler Honeycutt had 3 blocks, more than any other player in Game 4. Zalgiris big man Brandon Davies is top shot-blocker in the playoffs with 1.3 per game.